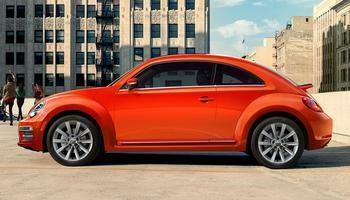 Volkswagen Group of America is recalling 4,064 model year 2019 Beetles and Beetle Convertibles. The instrument cluster may not provide a visual warning when a brake system failure is detected. If the driver is not alerted when there is a problem with brakes, he may lose control of the vehicle while attempting to brake, increasing the risk of crash. Volkswagen will notify owners, and dealers will update the instrument cluster software free of charge. The recall began March 7, 2019. Owners may contact Volkswagen customer service at 1-800-893-5298. Volkswagen's number for this recall is 90L8.